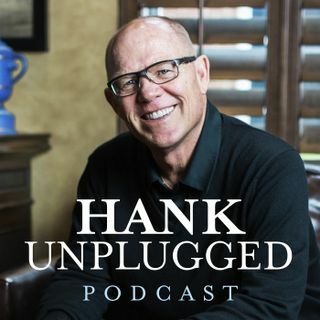 Hank is joined on Hank Unplugged by the eminently quotable Larry Johnston, a friend and colleague of nearly 40 years, for a wide-ranging conversation certain to send you searching for a dictionary. You can’t miss this cranial candy dealing with Christ, conversion experiences and conversation. Topics discussed include: An understanding of their ages and their desire to make the biggest impact for ministry while yet on the planet (6:00); Their interwoven journey’s in ministry over the past 40 ... See More years (12:00); The battle for the mind in an age when evidence is seemingly trumped by authority (19:30); Apologetics as antidote to the atheistic ambush in educational institutions today (28:00); The false conflictions concerning science and religion (34:00); Larry’s testimony as a “Road to Damascus” soteriological experience (39:00); Observations of the obvious effects of uncreated energy on the rewiring of cerebral circuits and the soul (47:00); Apprehensive allowance for faithful mysteries to remain mysterious (59:00); Why the Christian Research Institute changed their moniker to “because life and truth matter” to embrace the necessity of balance (1:03:00); Their passion for podcasts as a vehicle to think deeper and reignite the art of dialogue (1:08:00).